Put the merry into Christmas parties with our classic, nouveau and whimsical Christmas appetizers, candies, cookies, cakes and main dishes that are terrific for Christmas parties and entertaining. What's Christmas without classic sugar cookies? 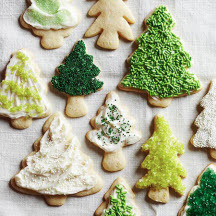 Gather family, friends, and frosting, then get decorating. 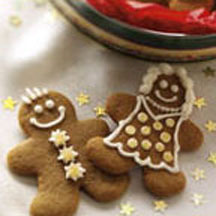 Everyone loves gingerbread for the holidays, especially extra special gingerbread boys and girls like these! 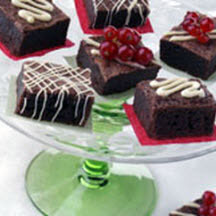 Rich chocolate brownies are decoratively "packaged" with a drizzle of contrasting white chocolate.